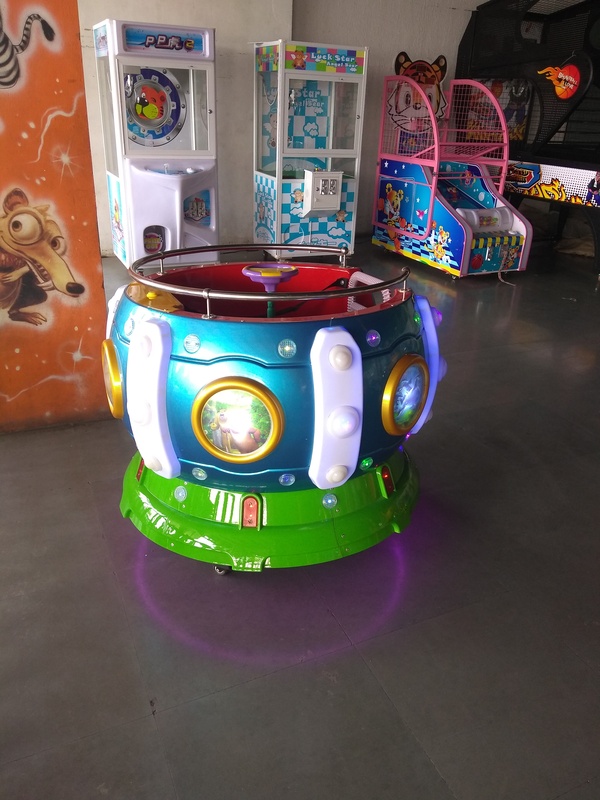 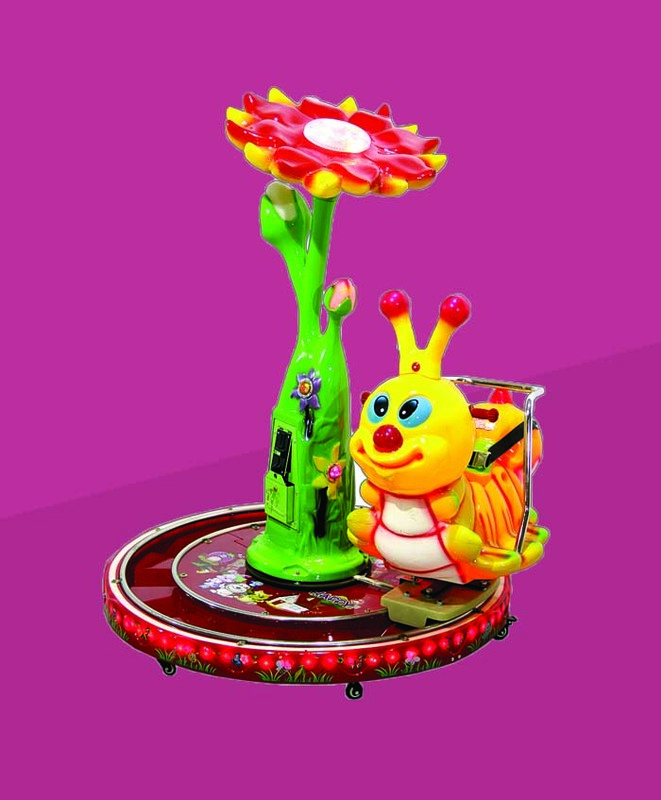 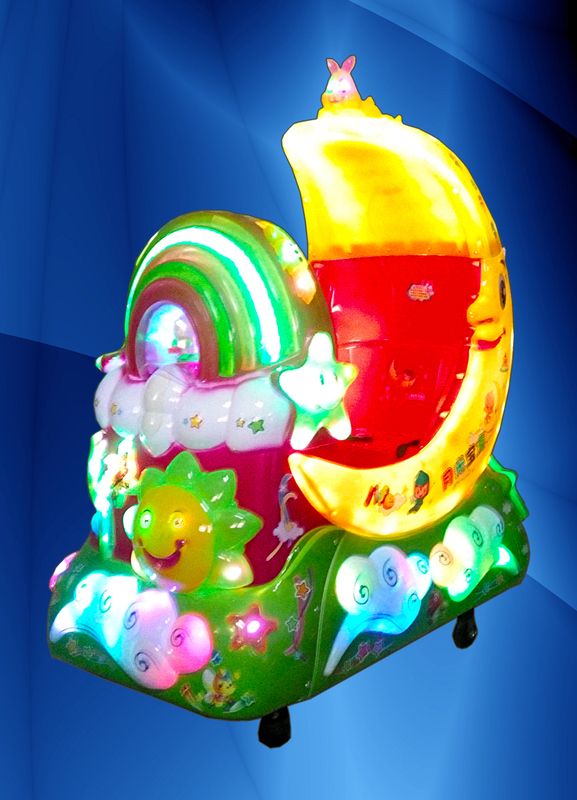 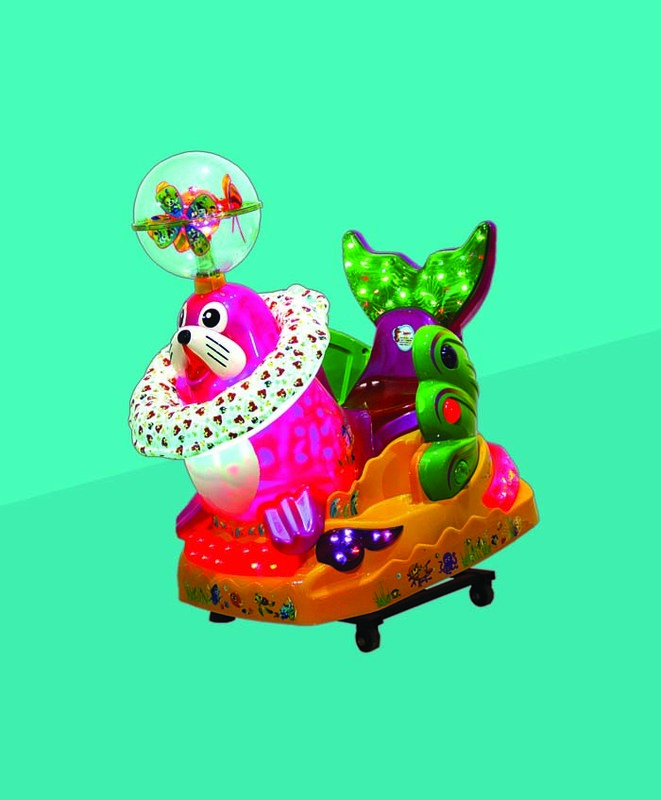 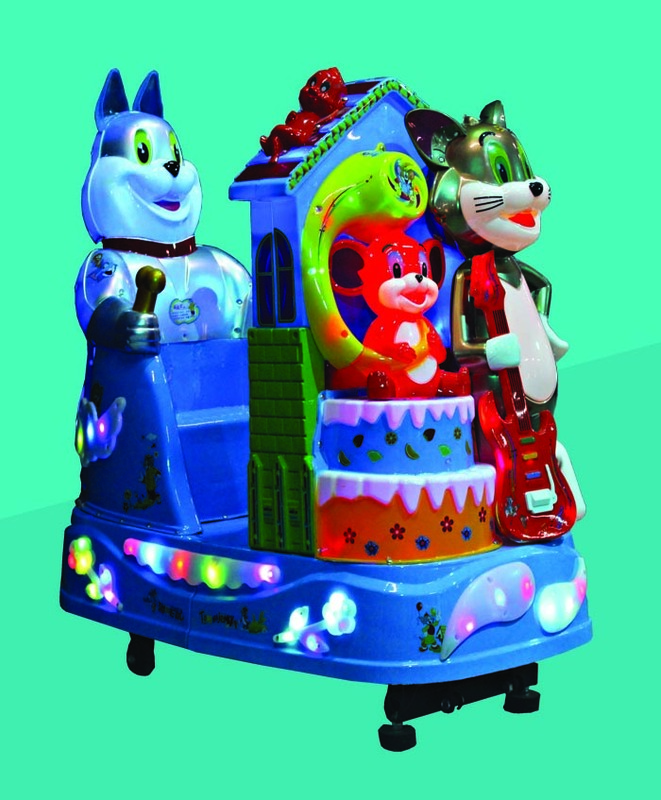 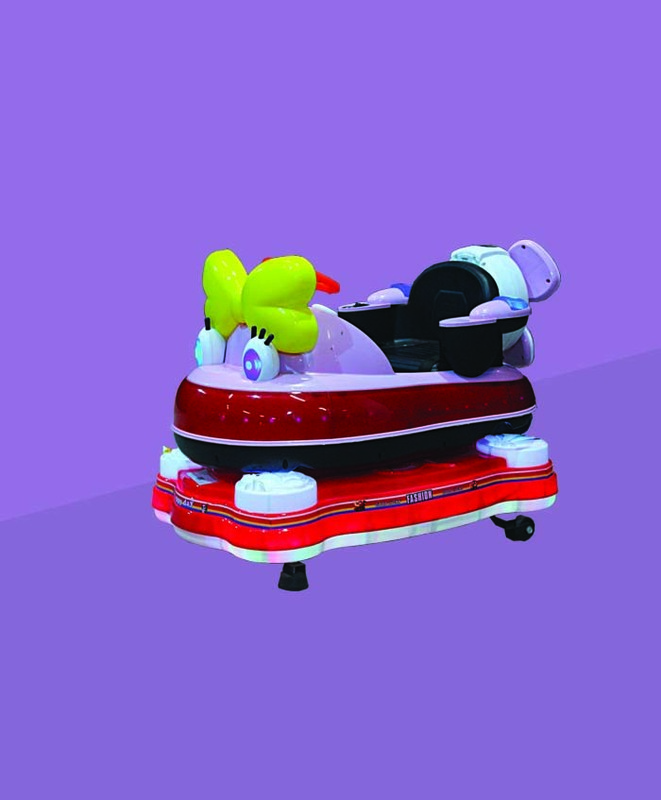 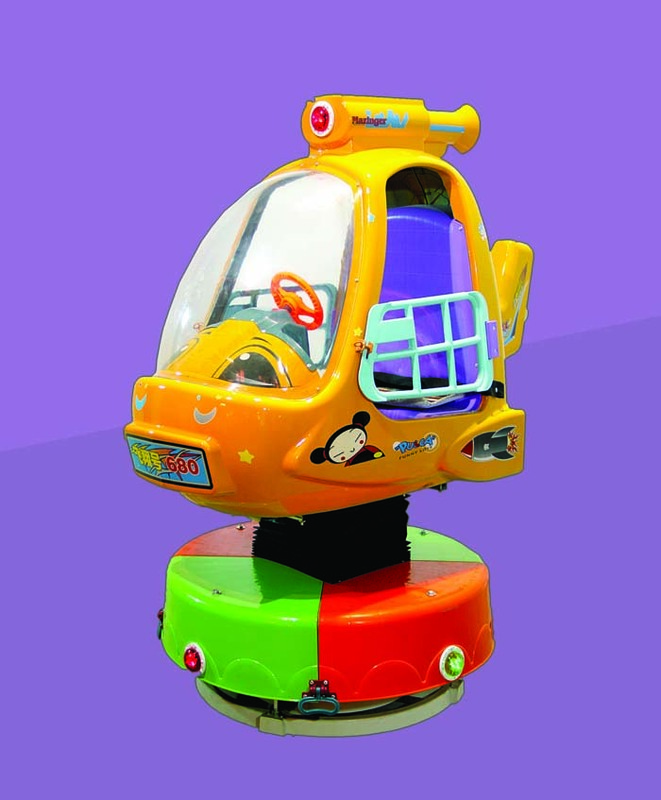 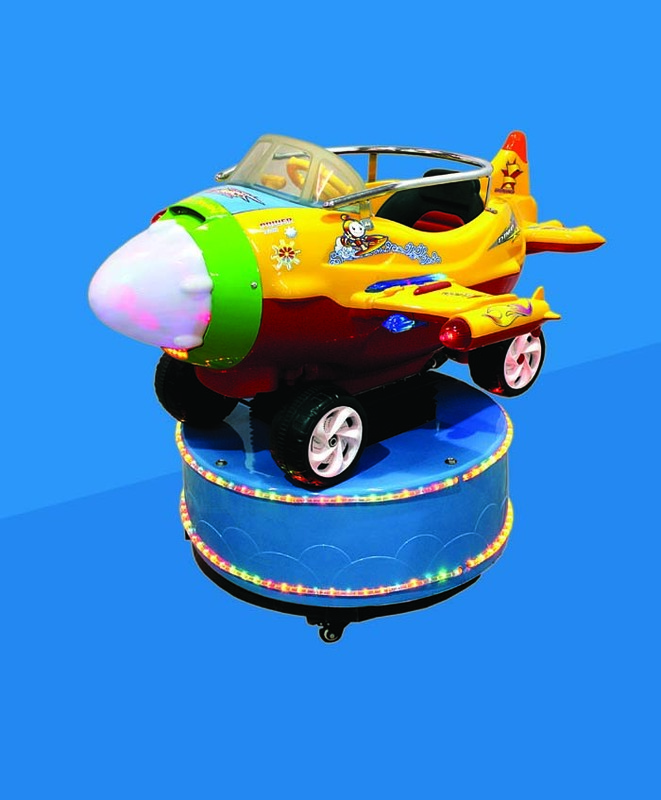 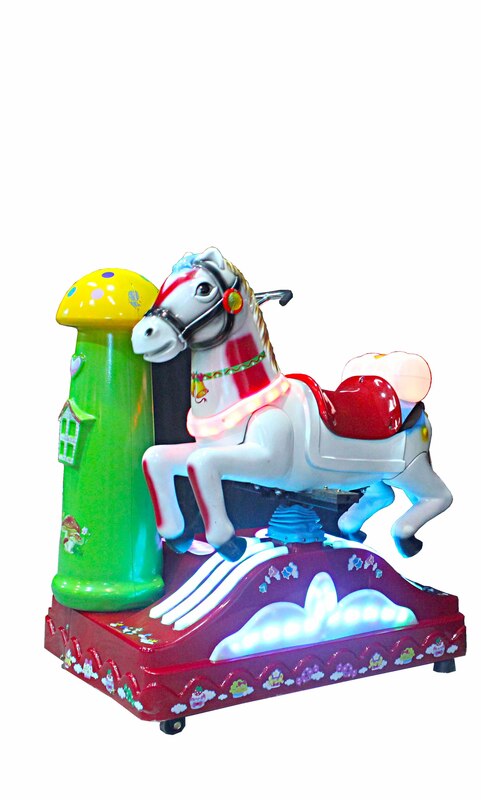 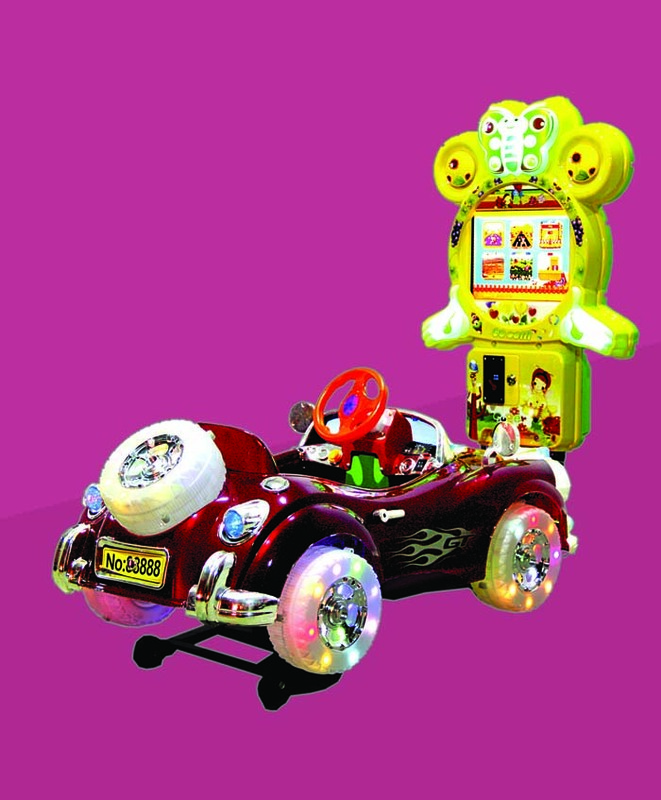 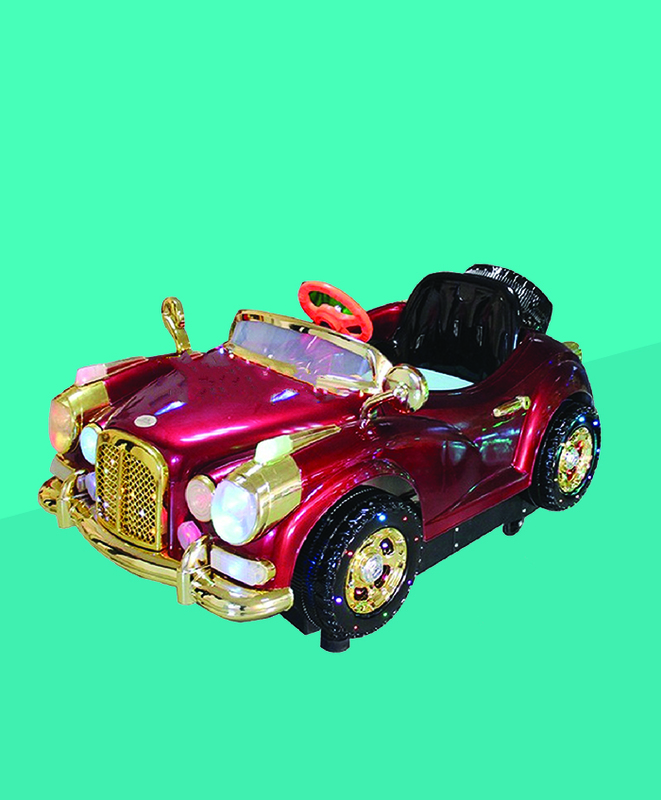 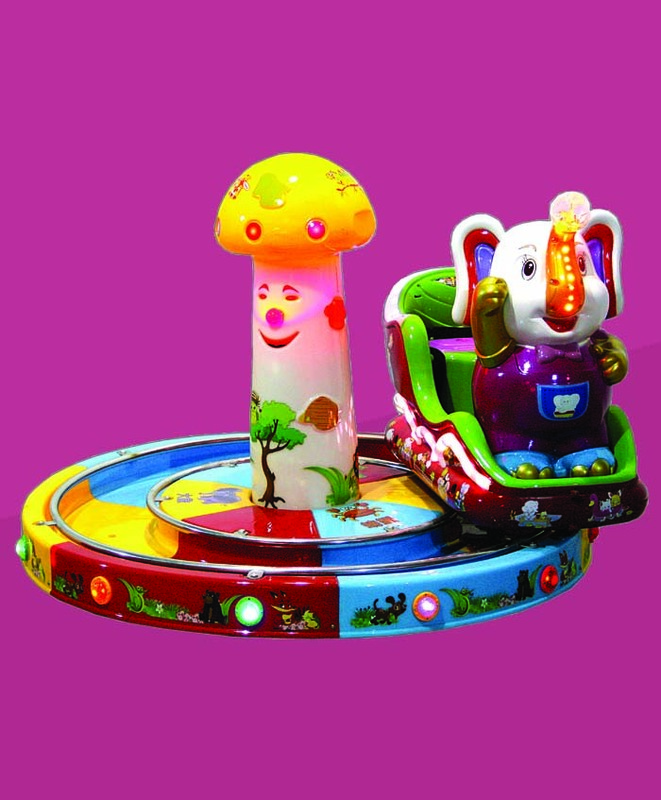 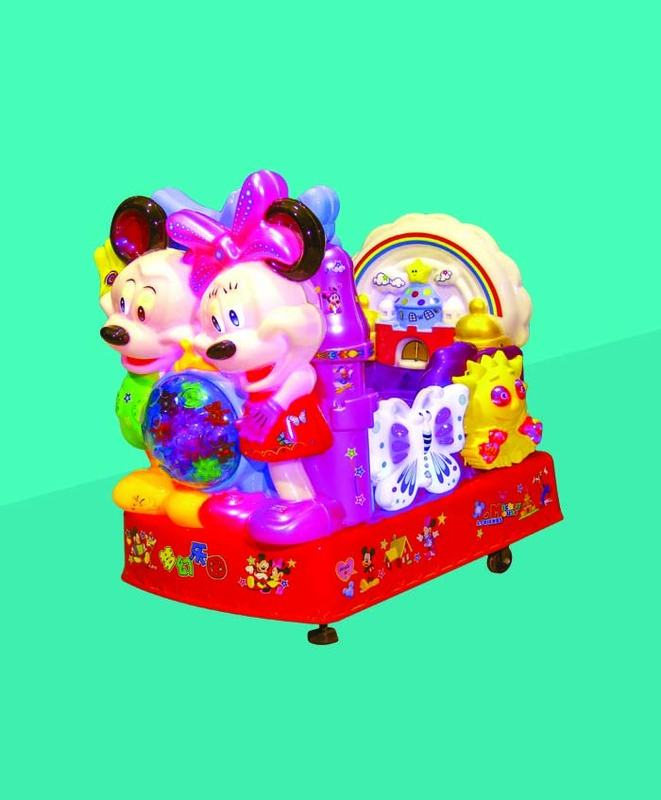 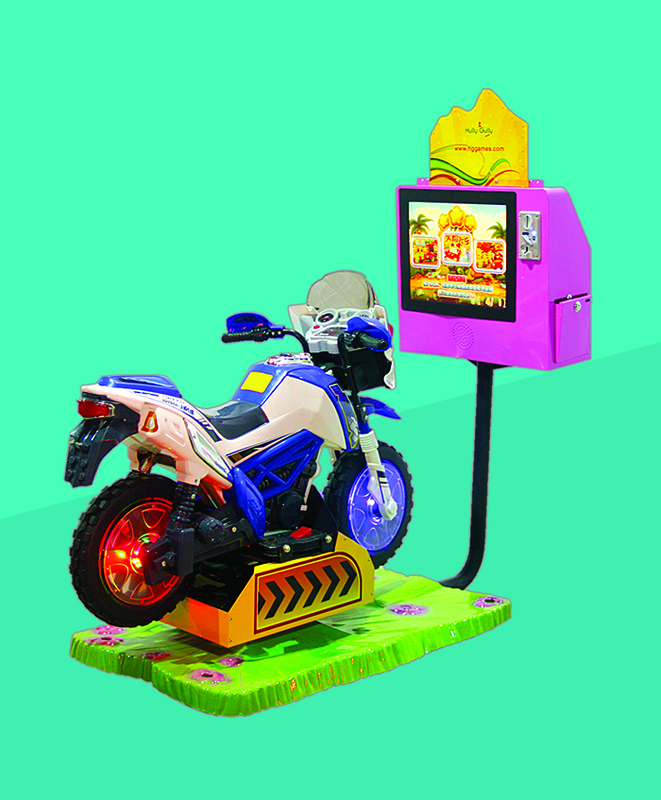 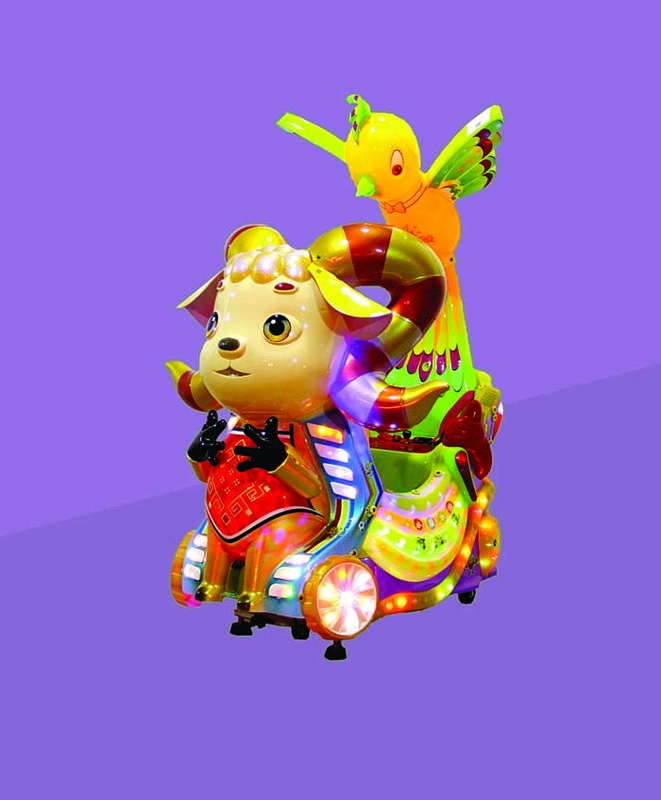 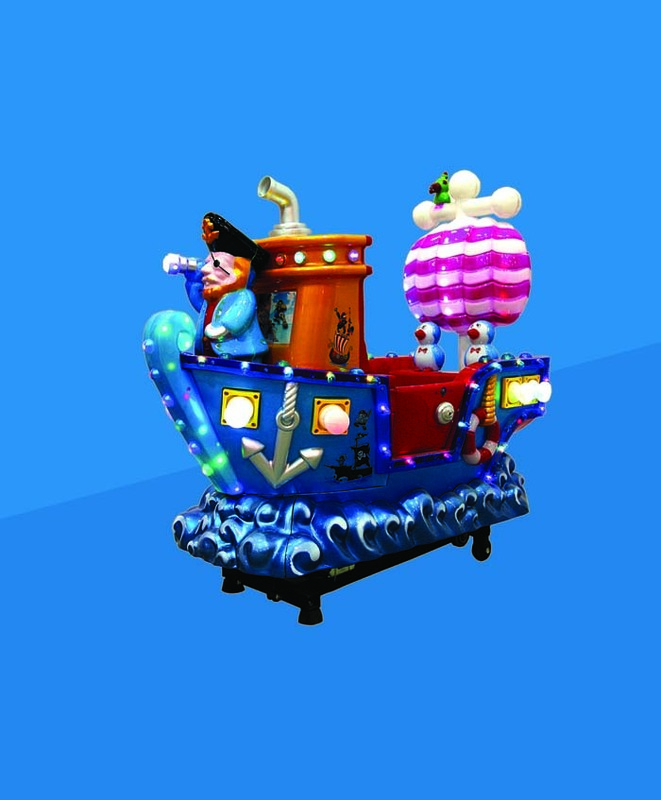 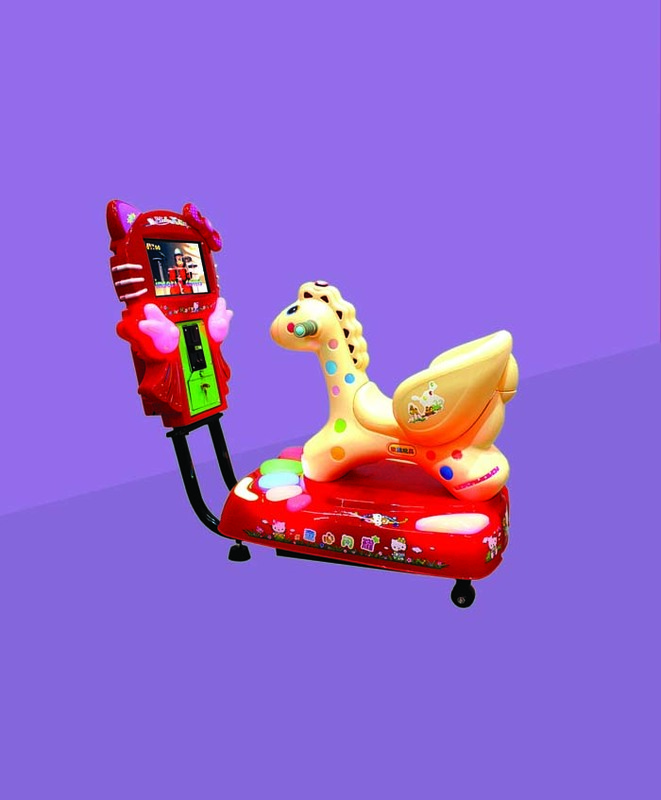 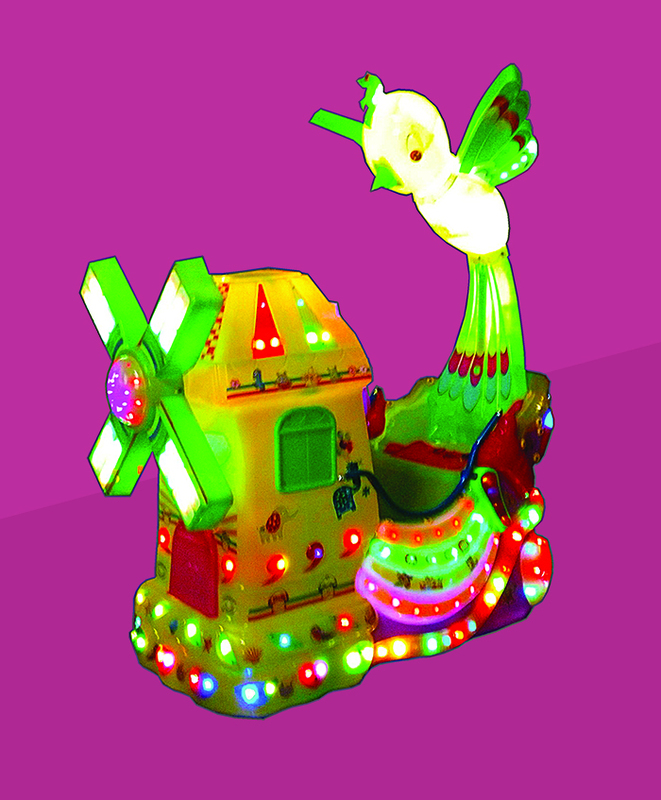 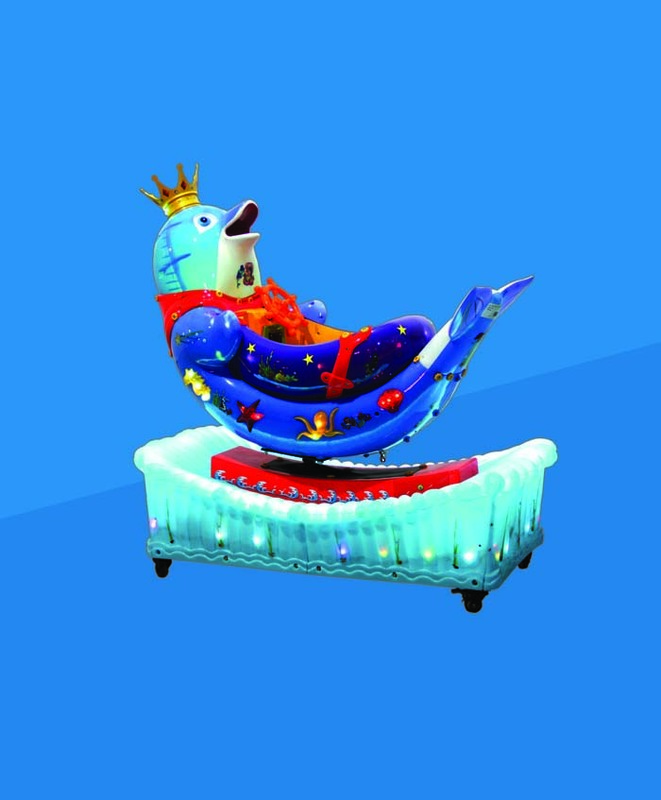 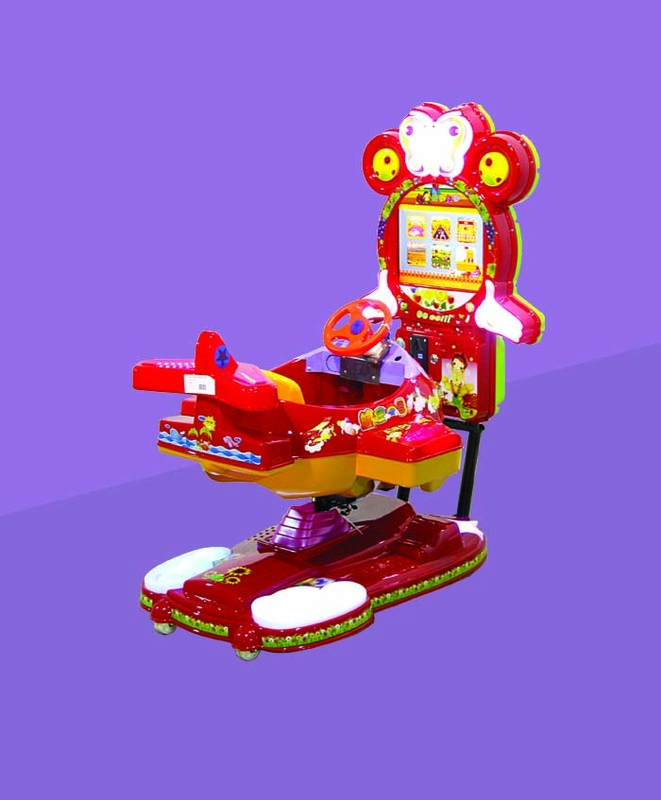 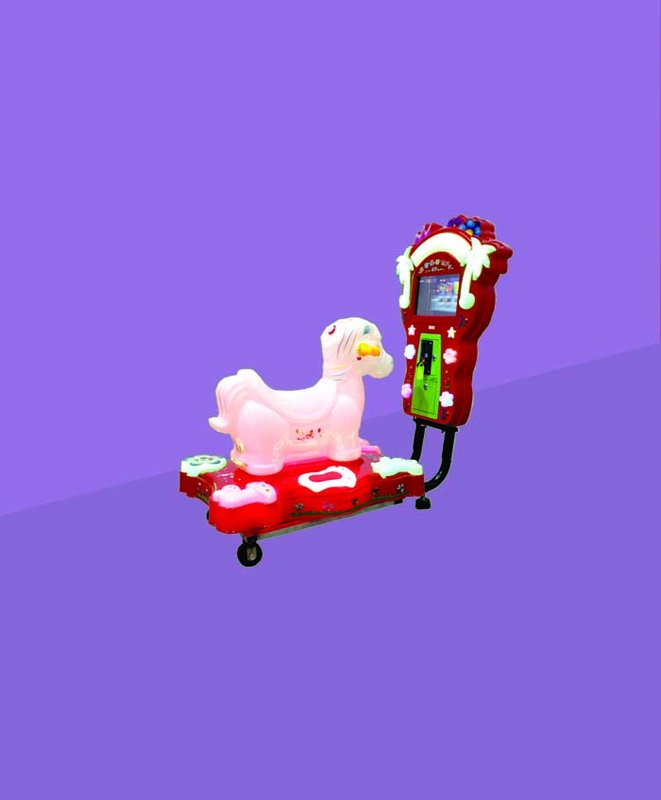 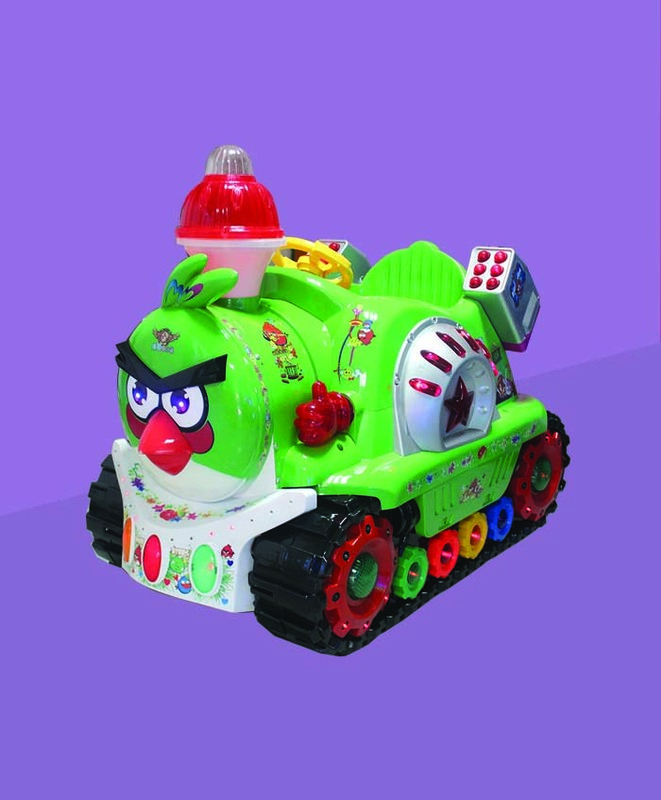 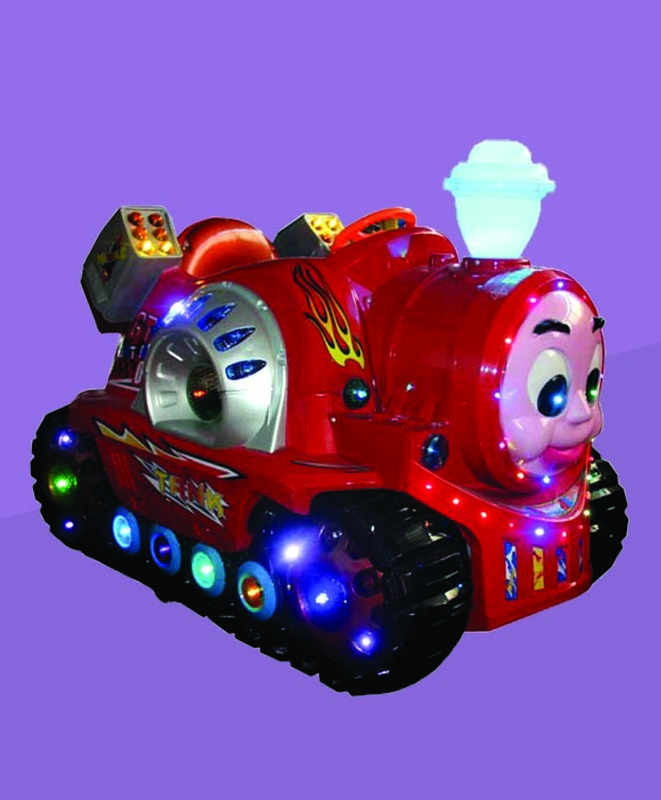 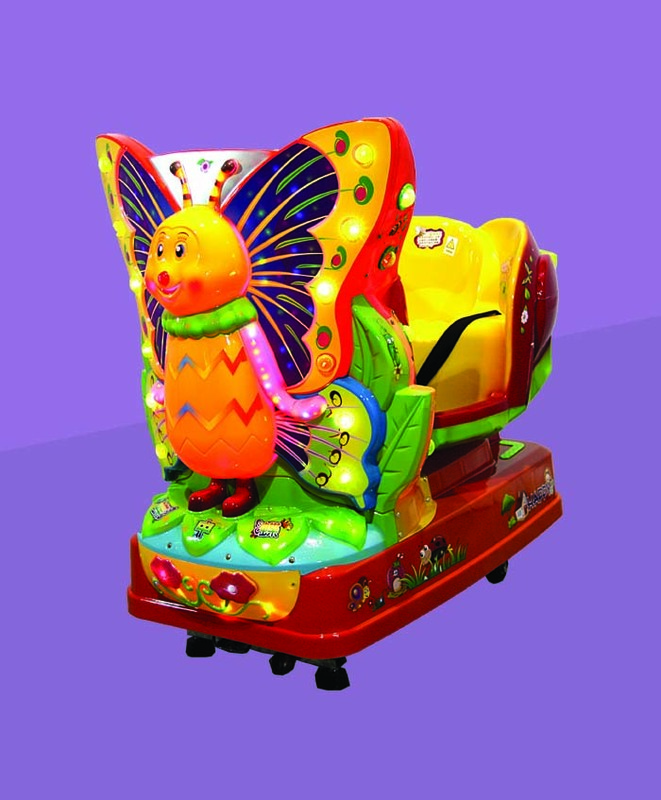 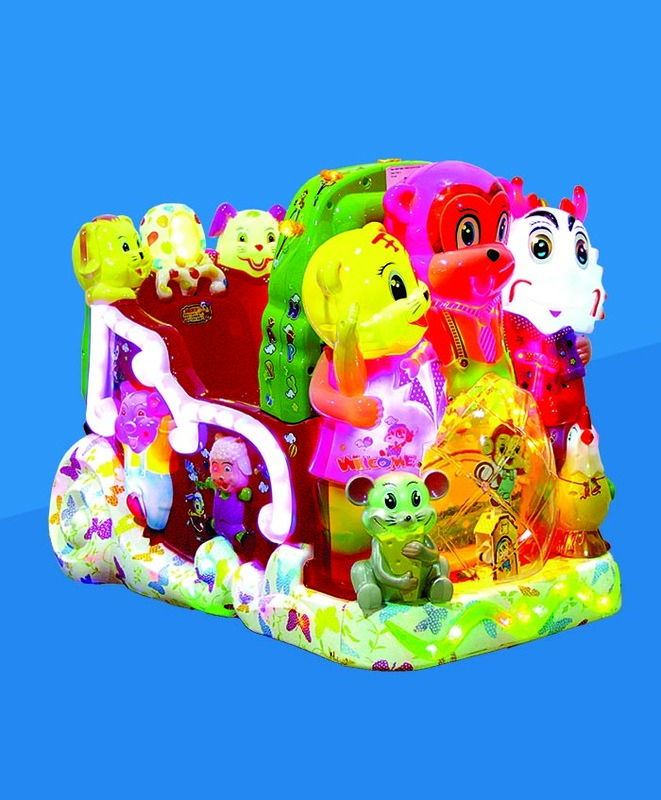 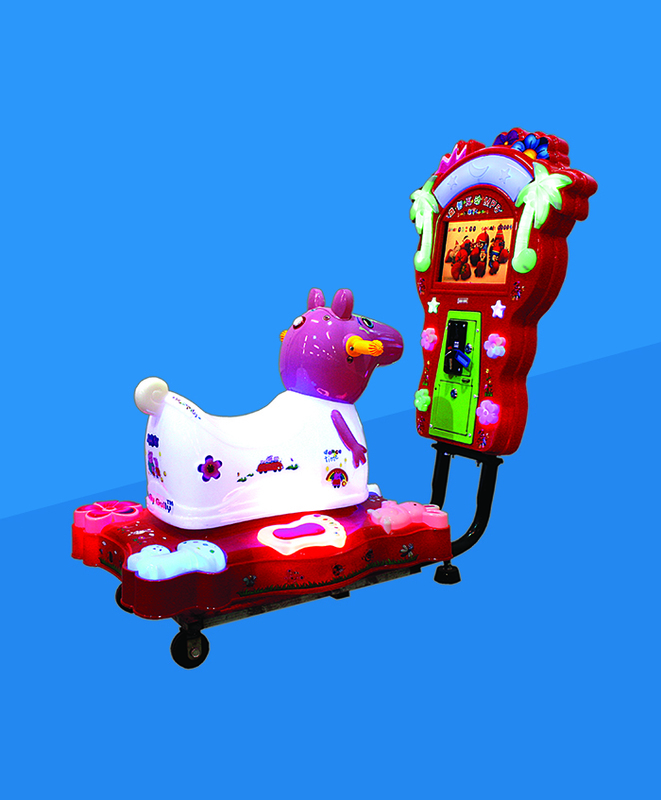 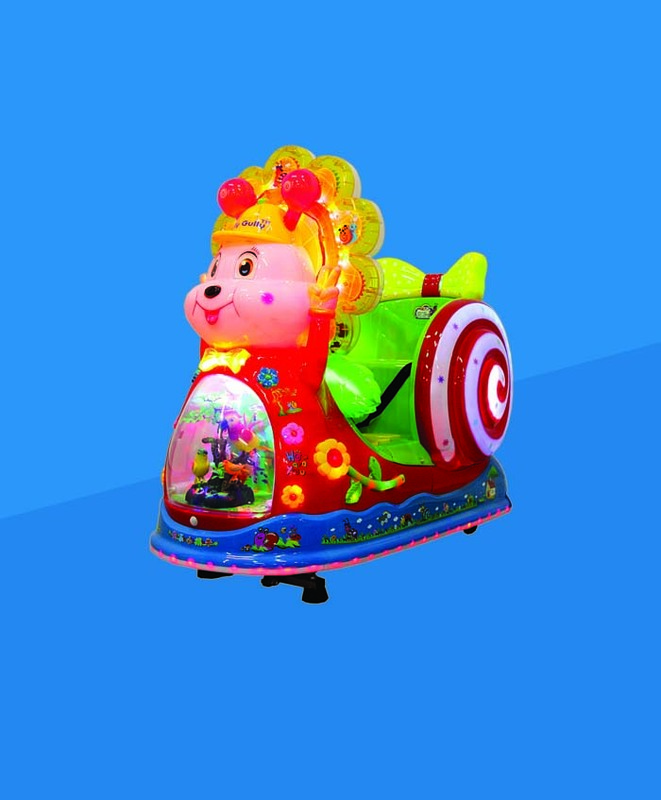 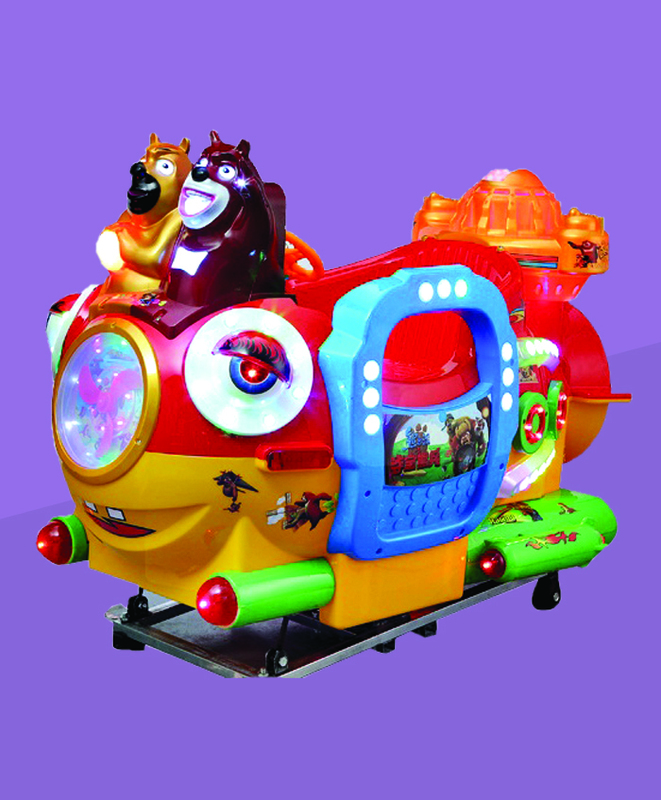 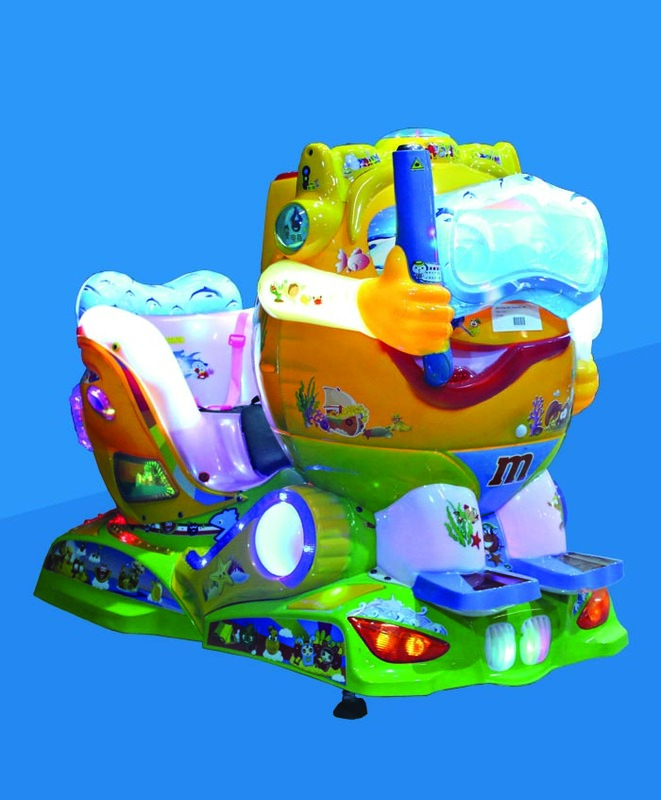 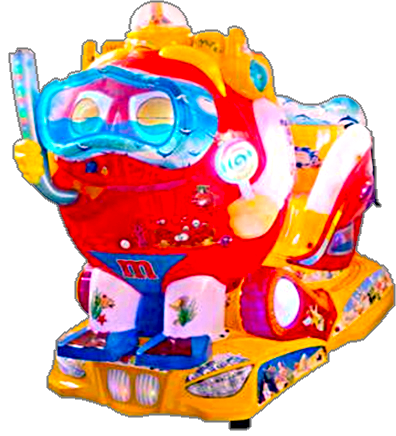 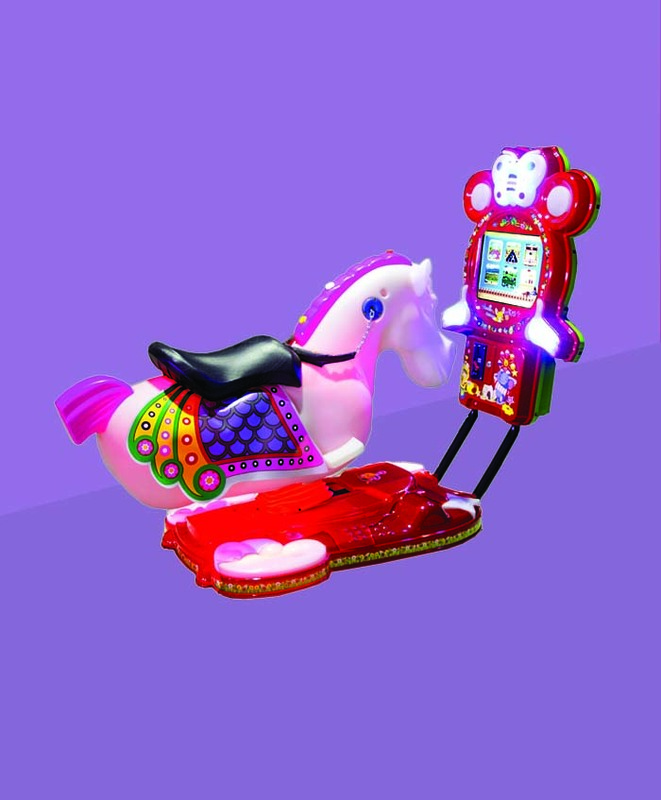 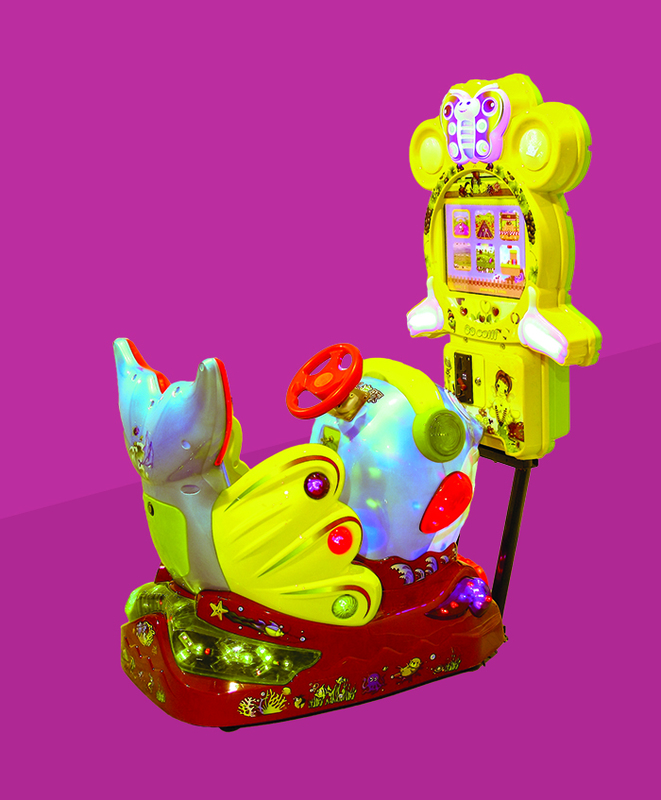 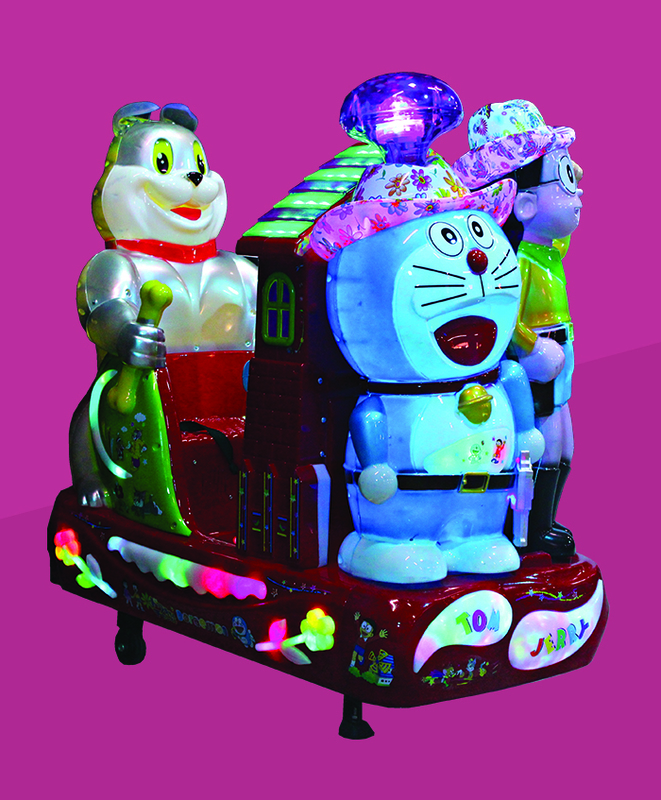 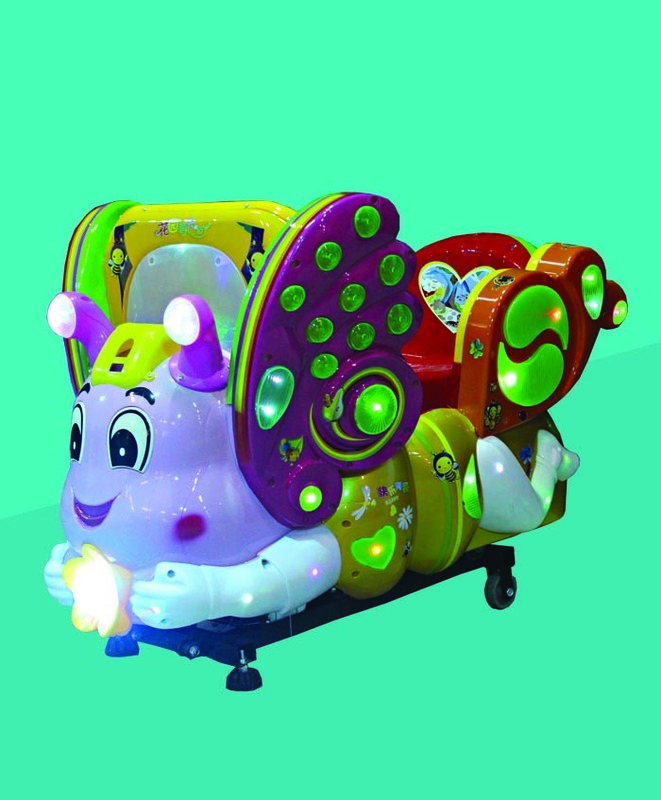 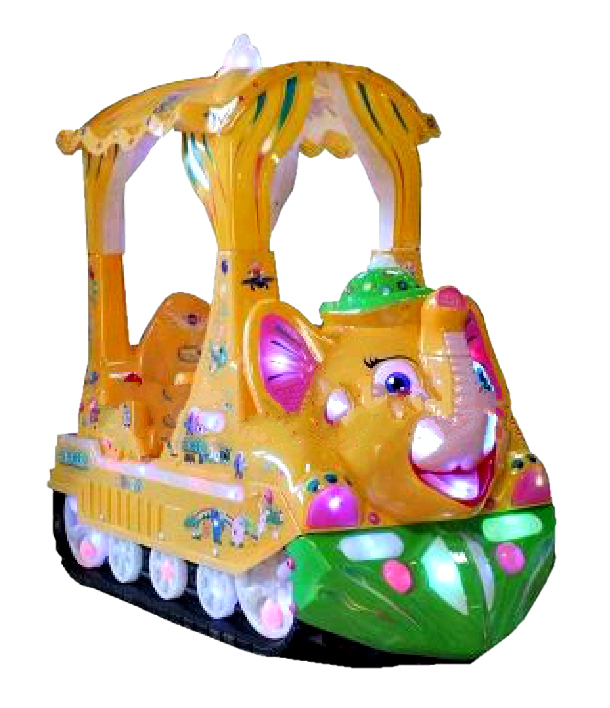 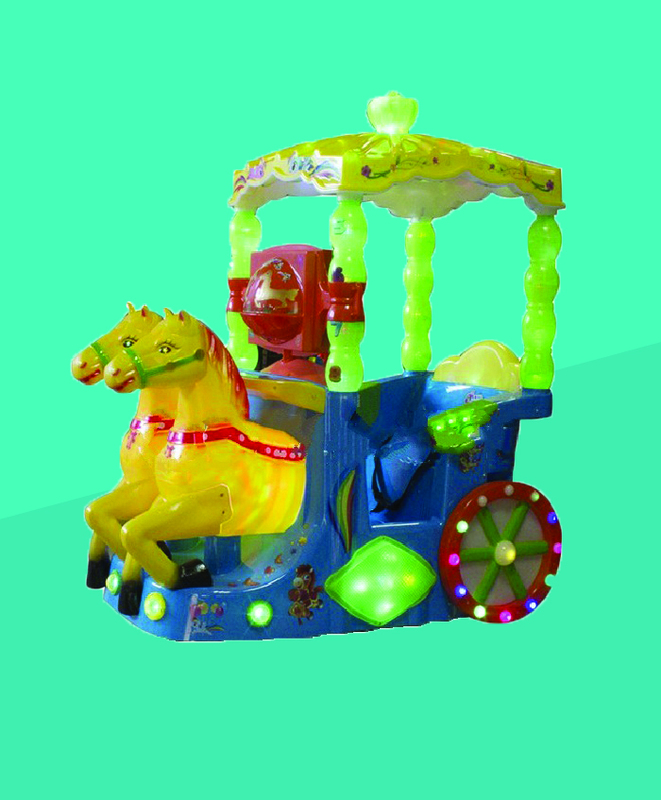 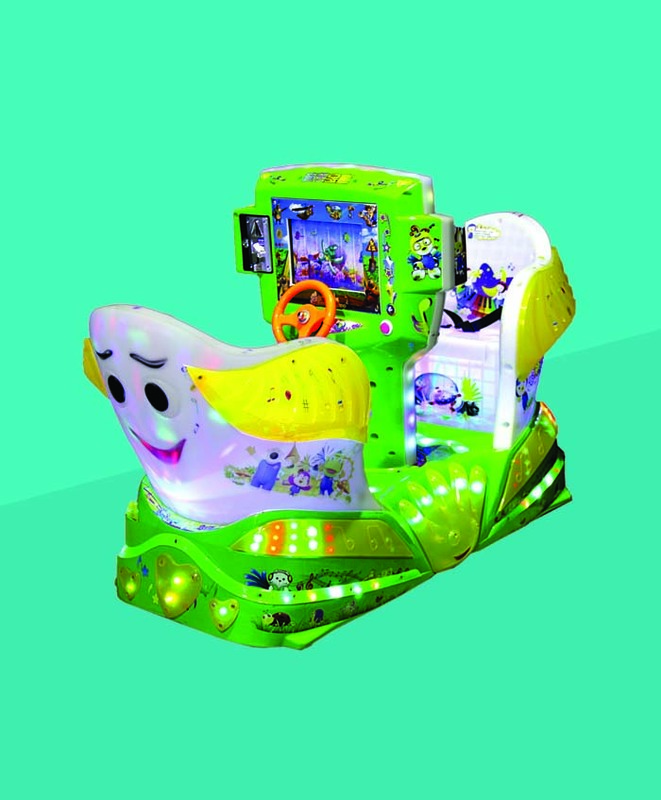 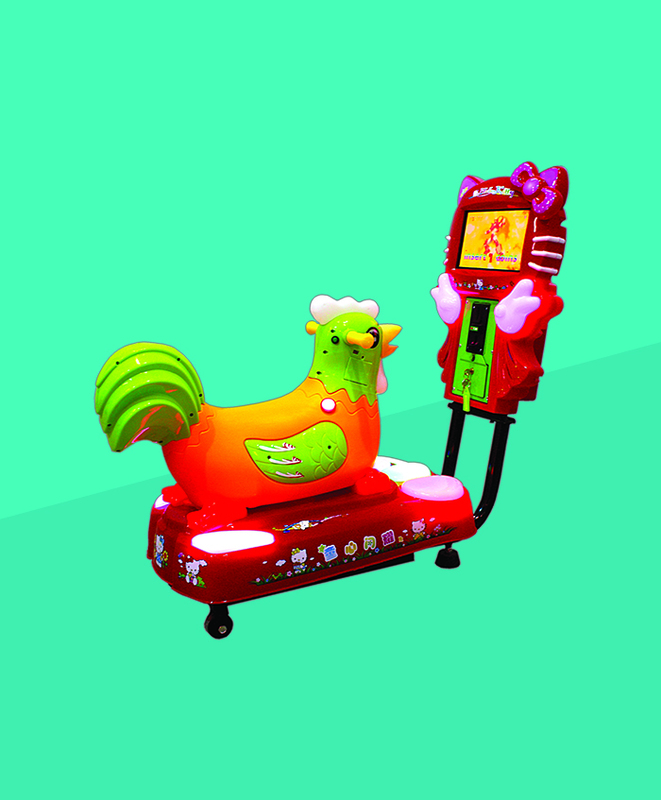 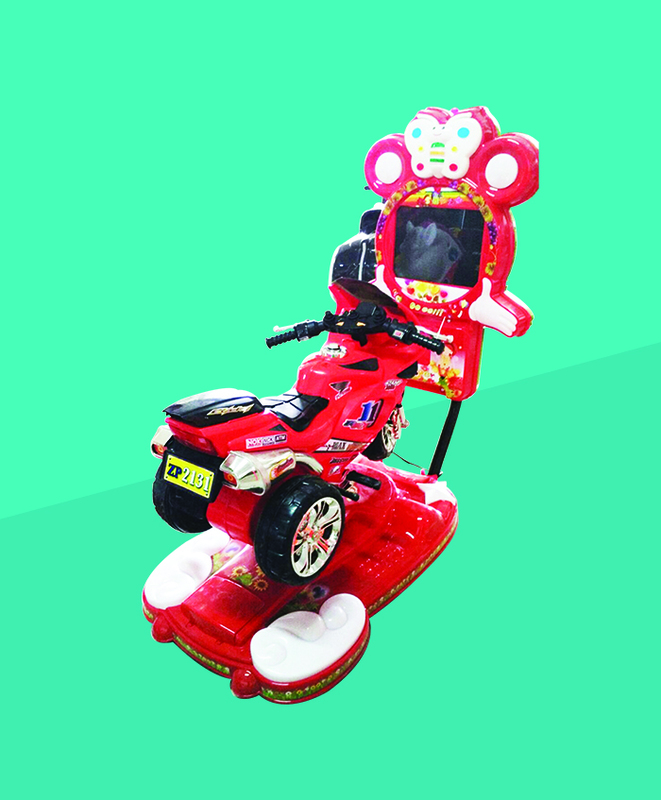 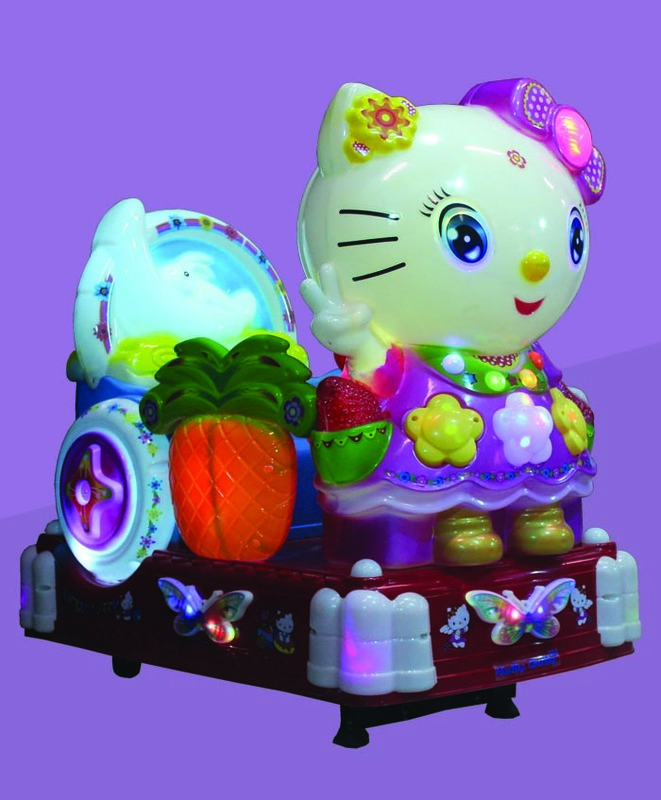 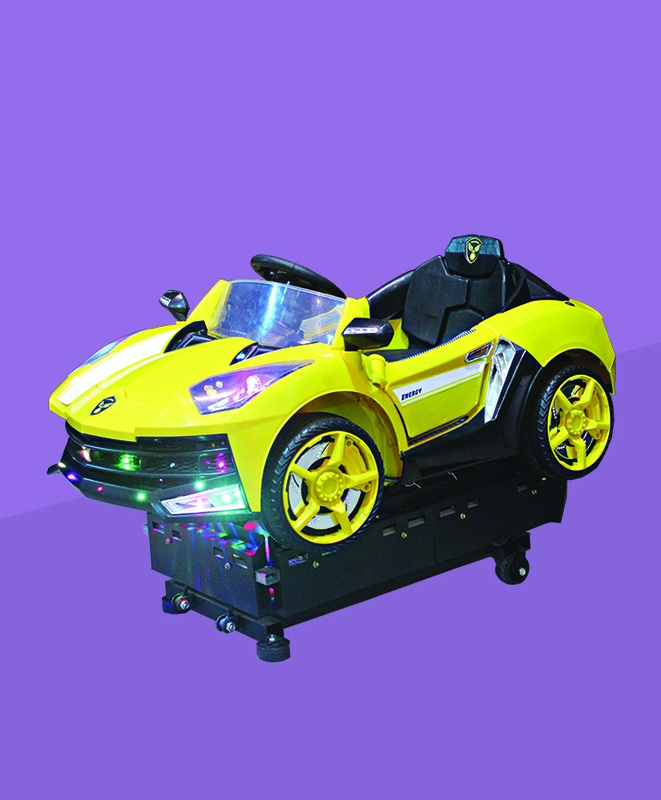 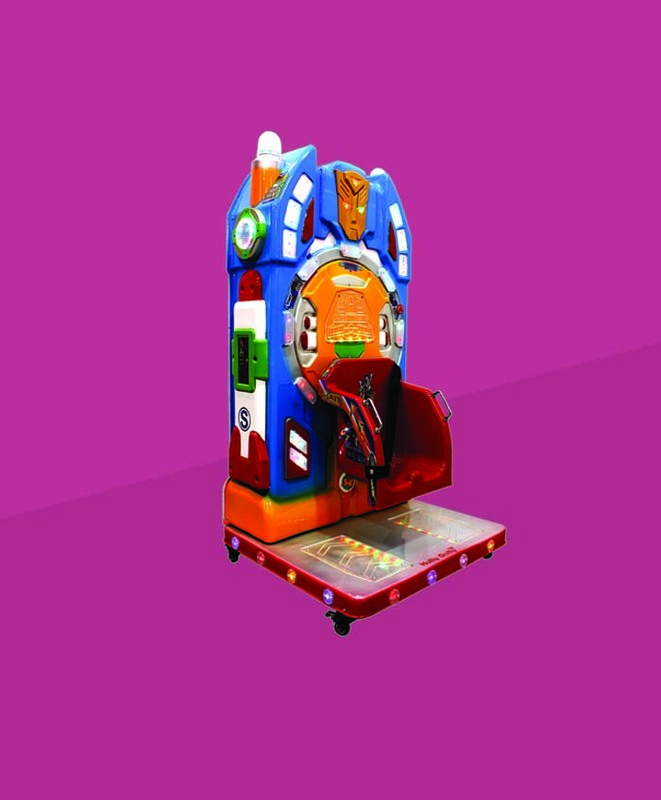 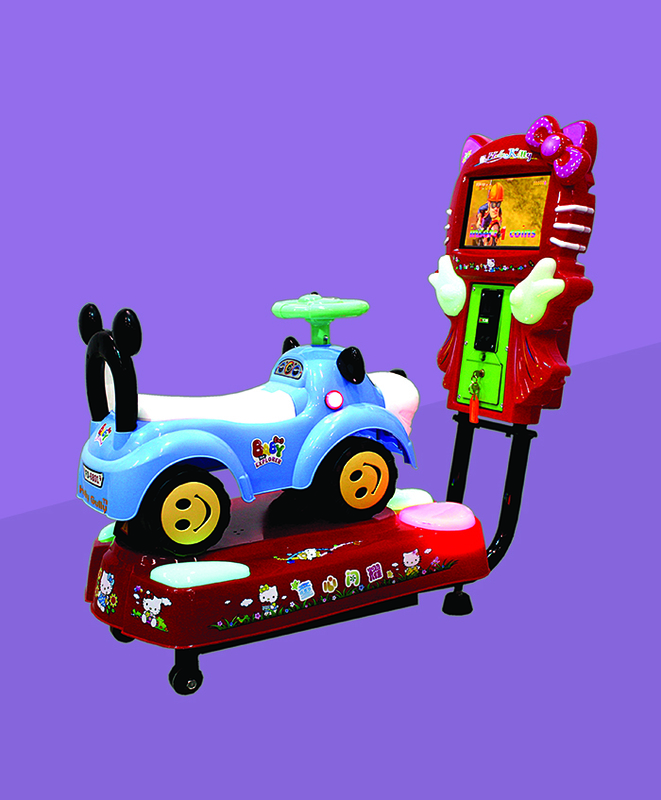 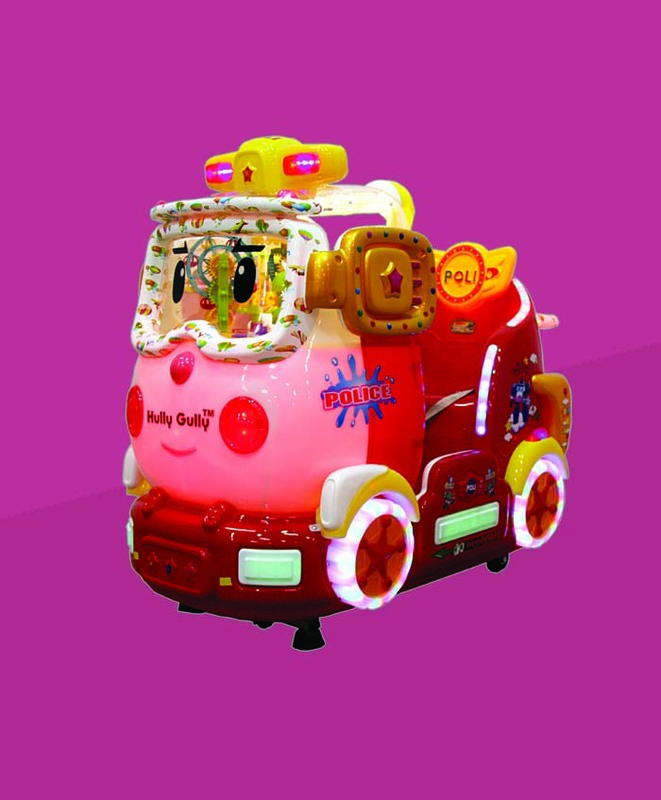 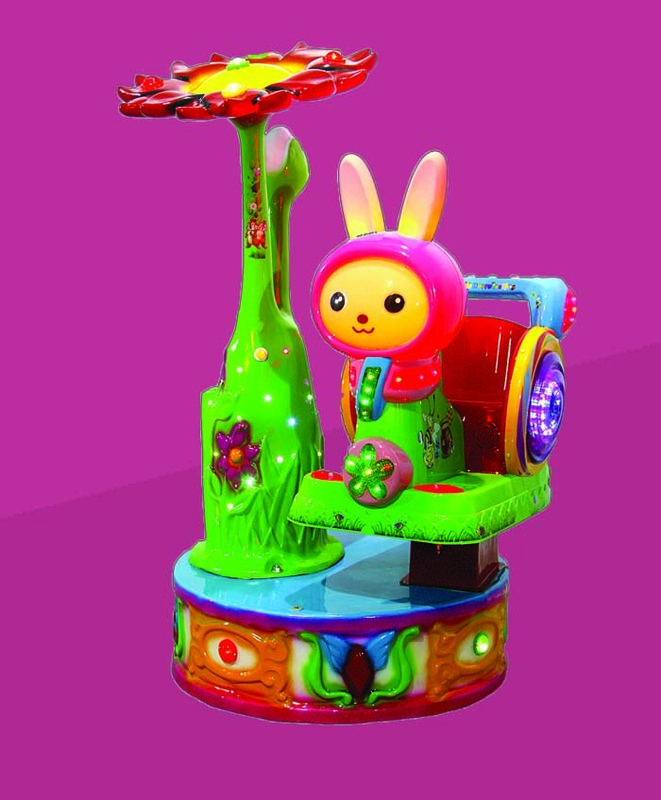 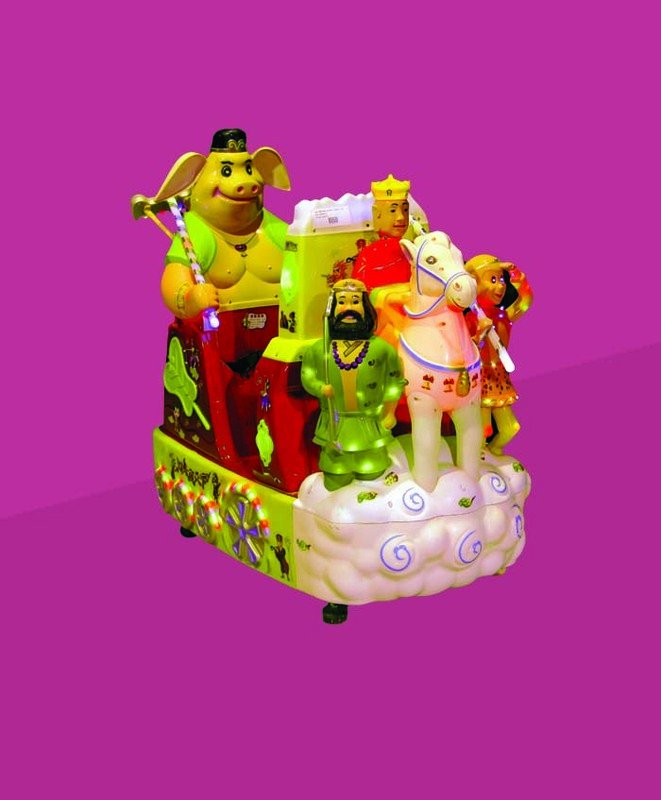 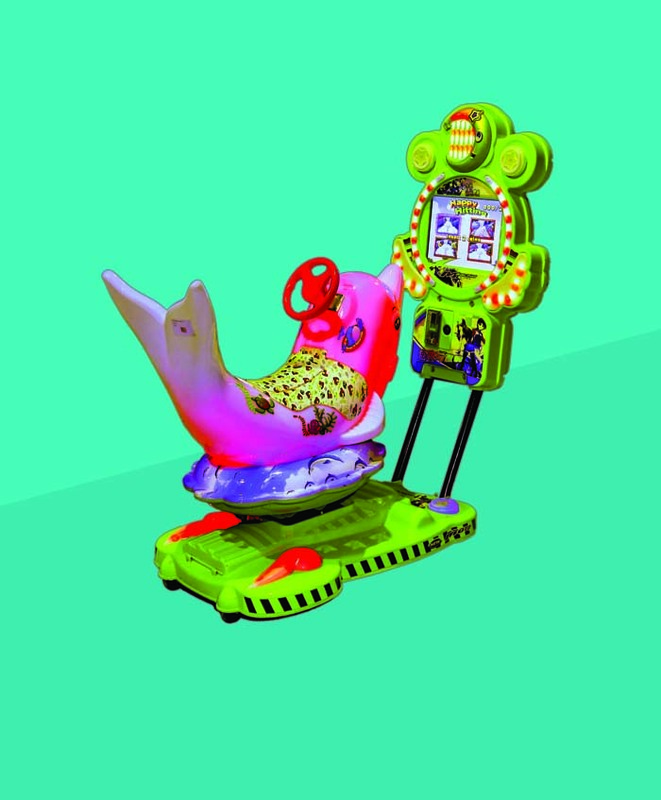 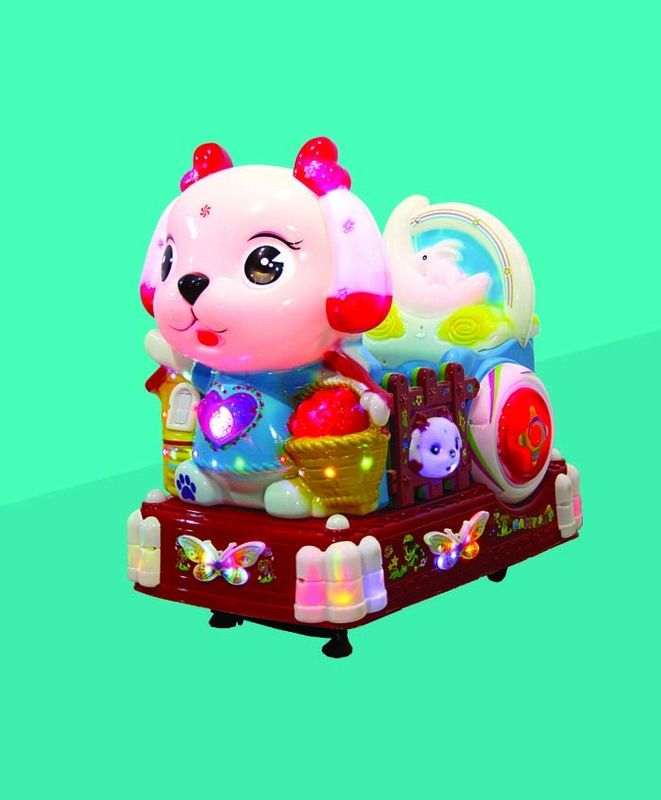 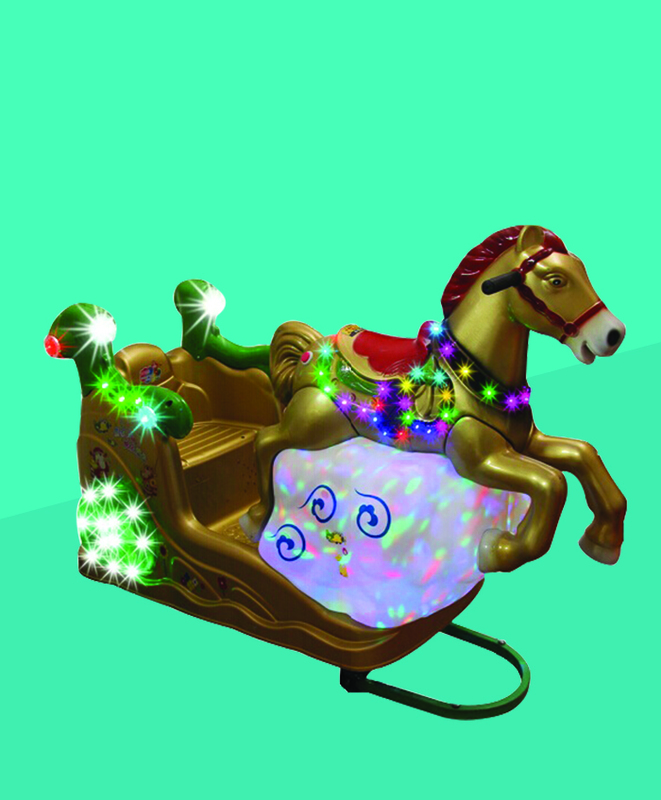 Coin operated kiddy rides are made of metal, equipped with gorgeous lighting, great music, Non-fading and durable painting. 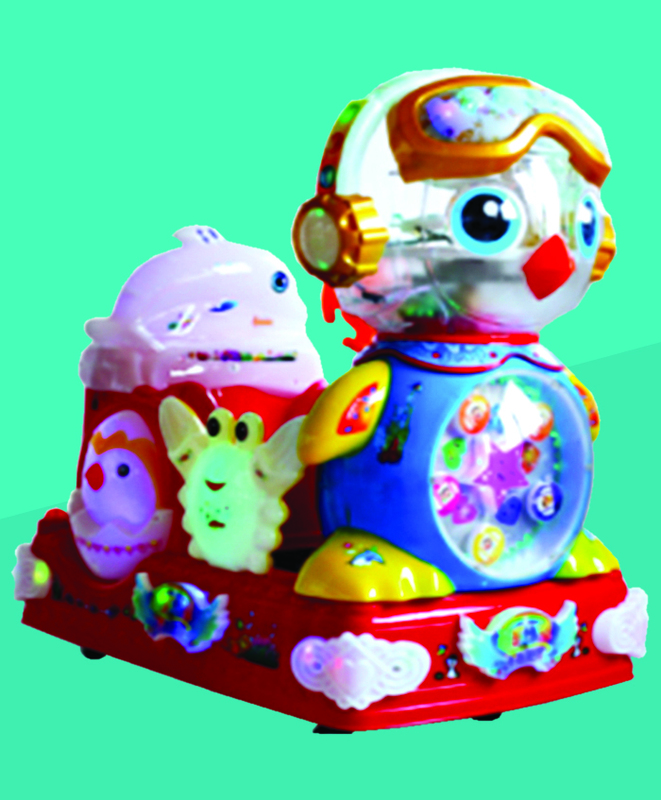 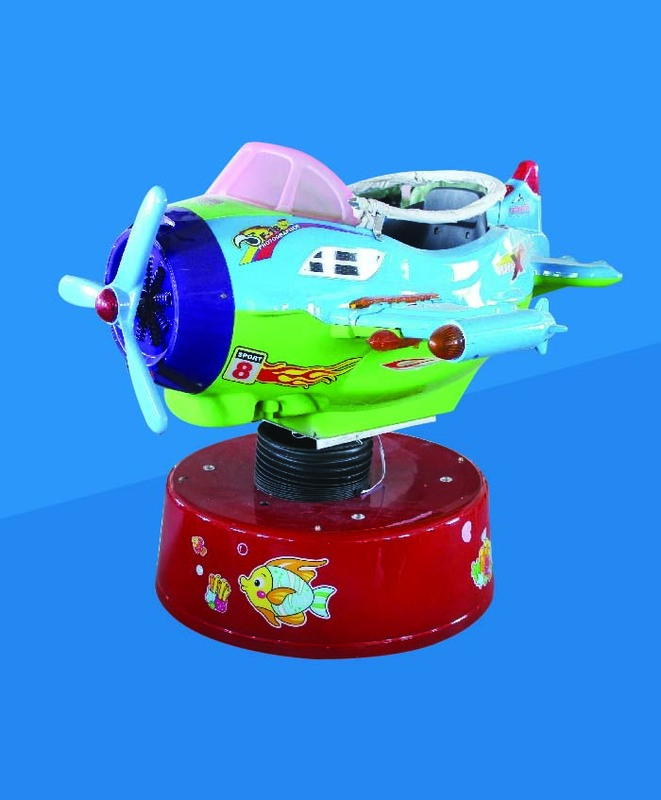 The whole designs in updated cartoon figures and colorful painting make kiddie play merrily and enjoy great happiness. 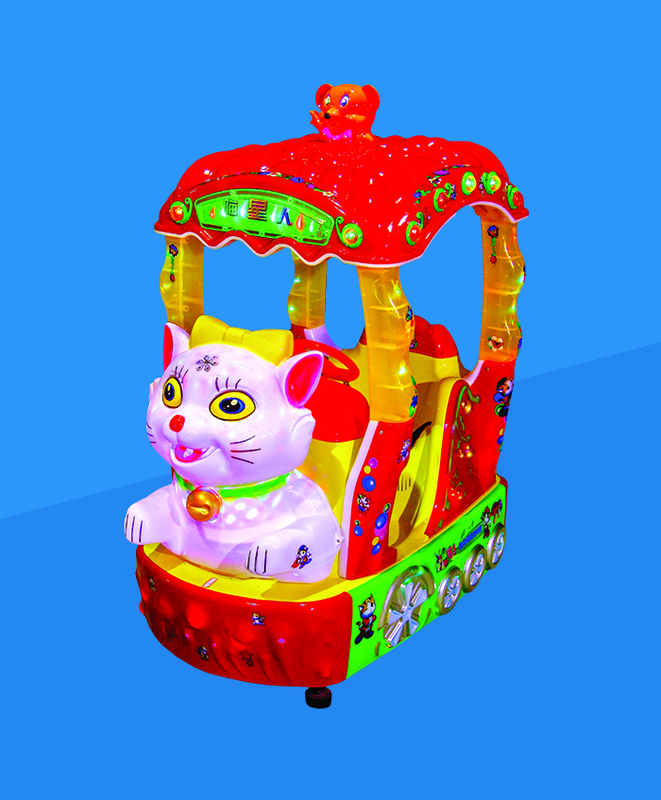 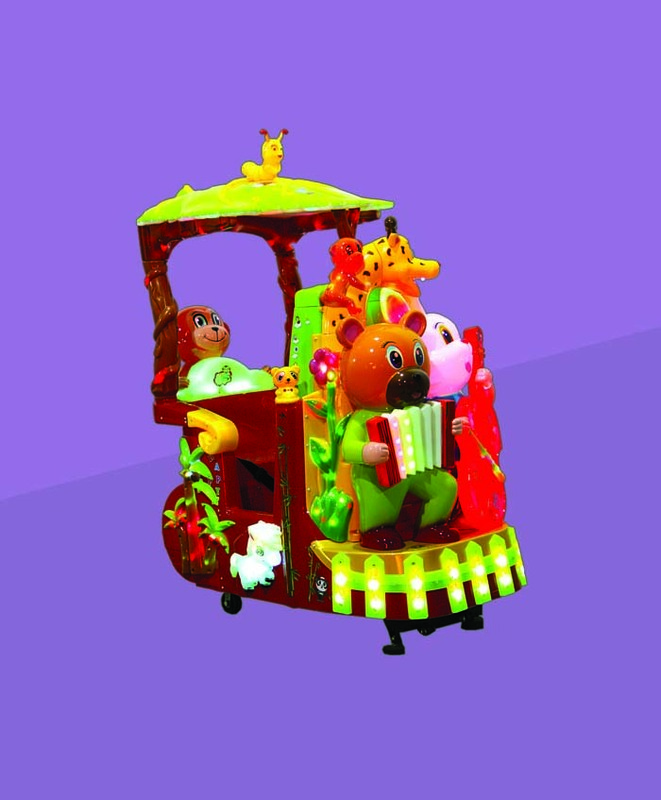 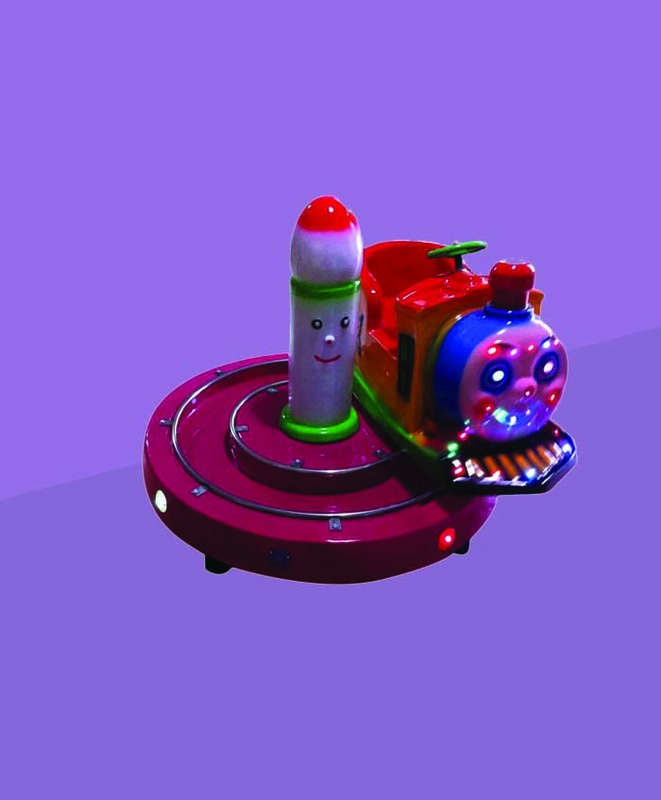 "Sheep & Parrot on Wheel"
Coin operated kiddy ride model of Thomas Train Cartoon character.Kiddy ride is siutable for one kid at a time.It is a small train with track.